Shaman Express, is a novel about a divorcee with depression and a recovering addict who are both at a crossroads in their lives and decide to embark on a journey together with the intention of writing a book about experiential shamanism. 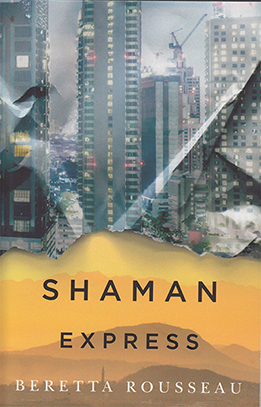 A warning about the potential dangers in pursuing enlightenment, Shaman Express is an unusual novel in that both characters are the authors; giving it the impression of being more like two interspersed frankly written journals than fiction. The book can also be disorientating in places as the lines are blurred between ordinary and non-ordinary reality. Revealing the businesses that exist purely to exploit the very human need for ‘meaning’, Shaman Express follows both characters through Italy, Siberia and Thailand revealing their individual shortcomings, personal disasters and some traumatic life experiences. Definitely different and sometimes darkly humorous, Shaman Express is adult literature recommended for those who don’t mind a trip through the shady side of life on the way to awareness. Review Details: Shaman Express was reviewed by June Kent, editor of Indie Shaman magazine and the review was published in Issue 38.